Q. If you cut up vegetables or fruit, or blend or puree them, do they lose their fiber content? Facts: The simple act of cutting fruits and vegetables can cause loss of some nutrients, such as vitamin C, but fiber content is retained, says Shira Isenberg, RD MPH, a New Jersey-based nutritionist. Additionally, fiber will not deteriorate when exposed to air. The problem is not the cutting, blending or pureeing, it’s the commercial processing that typically reduces the fiber and nutrient content of fruits and vegetables (e.g., when they’re turned into juice). 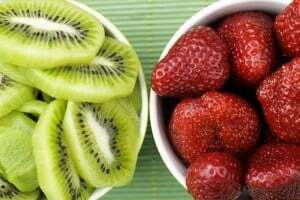 The reason: “It’s mainly due to the removal of the skin of the produce (a great source of insoluble fiber) and, to a small extent, cooking the fruit or vegetable, even with skin still on,” says Jaclyn Maurer Abbot, Ph.D., RD, a specialist in sports dietetics in Georgia. In addition, fruit and vegetable juices typically contain added sugar, which reduces the nutritional quality of these drinks even further, adds Isenberg. Bottom line: If the skin of the produce is left on, regardless of whether or not the produce is chopped or pureed, as long as the whole raw vegetable or fruit is eaten the fiber is still available, says Maurer Abbot. Q. Lately I’ve become curious about the use of dyes and colorings in foods in the United States. (I’ve read that the U.K. and parts of Europe have banned certain food dyes for #health reasons.) Do certain food colorings have a negative effect on health? Facts: Synthetic food dyes have been around for years, and many have been banned because they were found to be harmful. Since 1906 the number of dyes allowed in food has been reduced from 80 to seven, says Lisa Cicciarello Andrews, a registered dietitian for Sound Bites Nutrition, LLC, located in Cincinnati (soundbitesnutrition.com). Food colorings are added to food to make up for loss of color or to add color to colorless food (e.g., the coatings on M&Ms). There is no benefit to adding dyes to our foods other than to make them more attractive. But are the dyes still on the market safe? “There are certainly toxicity questions about some of the current dyes, especially Red 3, but the broader concern is that dyes trigger hyperactivity or other behavioral problems in many children,” says to Michael F. Jacobson, Ph.D., the executive director for the nonprofit Center for Science in the Public Interest in Washington, D.C. There was a comprehensive 2004 review of more than 15 studies on food dyes and children’s behavior by researchers David Schab (of Columbia University) and Nhi-Ha Trinh (Harvard University), which concluded that artificial dyes do affect children’s behavior. Most specifically, food coloring promotes hyperactivity in already hyperactive children. Another study, published in a 2007 issue of the prestigious journal Lancet, found that artificial colorings in the #diet resulted in hyperactivity in all children. These studies caused the United Kingdom’s Food Standards Agency to persuade manufacturers in the U.K. to voluntarily remove and stop adding artificial colors. Which dyes are we talking about? The food dyes in question are Yellow 5, Yellow 6, Red 3, Red 40, Blue 1, Blue 2, Green 3 and Orange B. They’re found in many processed foods, including candy, gum, cereals, sports drinks, cookies, cakes and many other foods that are marketed to children. So far, only Yellow 5 has been tested on its own; the others have been tested only in combinations. “It’s possible that one or several of the dyes do not affect behavior, but no one’s conducted the tests. I’d be perfectly happy if the FDA banned the dyes and then let companies prove that individual ones are safe when used alone or in combination with one another. I doubt that companies would invest the money in such tests,” says Jacobson. Q. Which part of the broccoli is healthiest, the stems or the florets? What are the nutrient differences? As far as color goes, is it the darker the green the better? Facts: Broccoli is one of the healthiest vegetables on the planet. The florets pack more vitamin A than the stems. But, according to the USDA Nutrient Database, that’s about the only difference — 100 grams of broccoli florets have 3,000 IUs of vitamin A, compared with 400 IUs in the stems. High intakes of broccoli and other cruciferous vegetables are linked to lower risk of lung, prostate and colorectal cancer. Broccoli contains glucosinolates, which are said to prevent cancer by helping to get rid of cancer-causing agents before they can damage the cell, as well as by preventing healthy cells from being altered into unhealthy, cancerous cells. 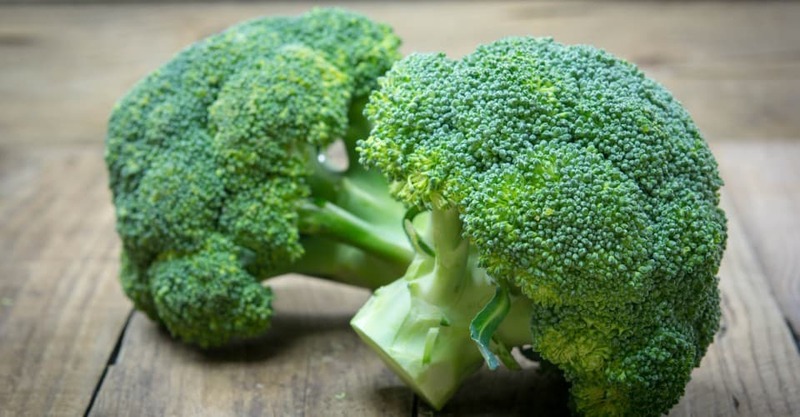 In fact, sulforaphane, a glucosinolate and one of the primary antioxidants in broccoli, is actually activated when broccoli is chewed or chopped. “Additionally, broccoli is also high in potassium, vitamin K and folic acid, which are vital to heart health,” Andrews says. And yes, the darker purplish and greener the broccoli is, the more nutrients it has. Also, according to Andrews, broccoli has low pesticide content compared with other vegetables such as peppers, celery and spinach. Bottom line: The florets are slightly healthier than the stems, but both are extremely beneficial for your well-being.